For too long, pasta has been referred to as a singular whole—some imagined collective food group that is either good or bad based on preparation style, ingredients, and/or sauce. 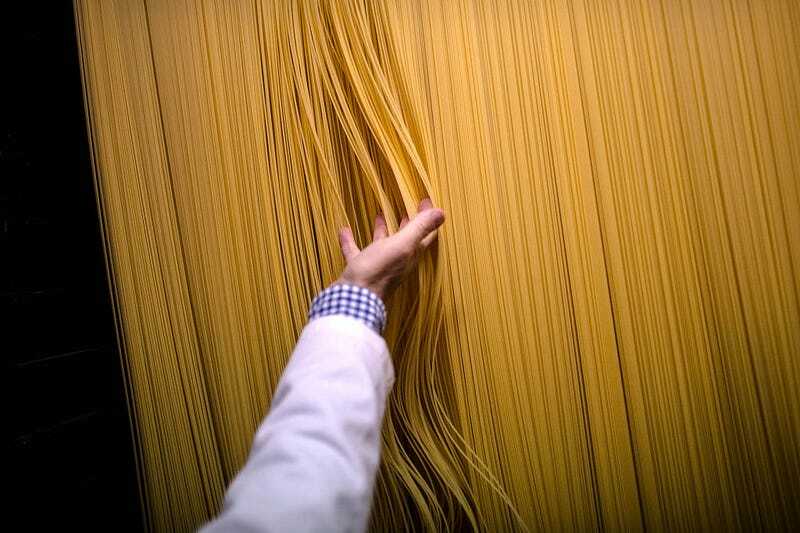 The true noodleheads among us have always known, though, that the success of a pasta dish starts with something far more basic: the shape of the food itself. Over on Twitter, the internet’s version of a few errant strands of limp spaghetti hanging off the side of a burner, David Rudnick has set himself the herculean task of reviewing the lesser known of these shapes, running down all “Non-Primary-Canon Pasta” in a series of short, wonderful reviews. Rudnick’s list continues, evaluating pasta apocrypha from trenne (“unsociable to sauce,” “cold, heartless form befits our age”) and paccheri (“comically hard to eat with both fork and spoon”) to campanelle (“a friend to the humble pea”) and bucatini/perciatelli (“spaghetti: the upgrade”). The entire list is worth checking out for anyone looking to either dip their toes into the waters of non-traditional food reviewing or expand their horizons by integrating strange new pasta shapes into their lives. Luckily, we now have a means to do so without the potential of ruining dinner with a “sauce agnostic” noodle.